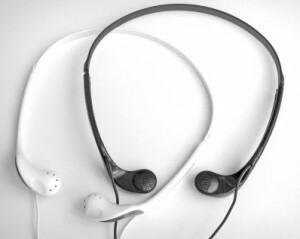 You can try out the sound component of the MMP using open ear headphones, which cost less than twenty dollars. 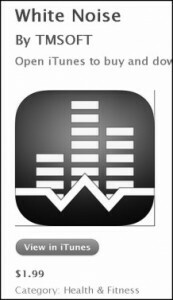 You can get a noise app to run on your phone, iPod, or tablet. One of my favorite white noise apps is White Noise by TMSOFT. These headphones clip over the ear. The nice thing about these is the speaker does not plug your ear canal, so you can still hear. This way you can hear a mix of the sound from the noise app and the sound around you. Do you remember Sony Walkman headphones? 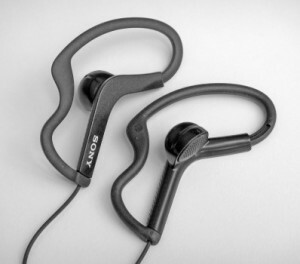 They were the perfect open ear headphone. Sony doesn’t make them anymore, but Sonxtronix has recently made them available (Sonxtronix XDR-8000). These are very comfortable and leave the ear canal open to hear normally. This is the “poor man’s” version of a personal noise generator. You can increase the noise on your iPod high enough that it reduces your reflex response to your trigger sounds. In a trigger situation you can raise the volume to help block them out, and reduce the noise at other times. This really does reduce the intensity of your misophonic response, so the triggers don’t hit you so hard. You can also use the Bose QC20 noise cancelling headphones by turning on the “Aware” feature, which lets you hear sound around you as if you had no headphones on. It passes the outside sound through instead of cancelling and blocking outside sound. If you don’t have a smartphone, then you can buy a cheap Android phone, like the Kyocera Event. The Event costs less than thirty dollars and runs Android 4.0, so it can run all the newest white noise apps. You don’t need to activate it for this use, so there is no monthly fee. At the dinner table you can have some tricky situations using the Misophonia Management Protocol (MMP) and sound generators, or even with headphones that totally block the sound because you may have visual triggers. 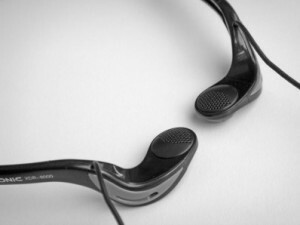 Headphones don’t block out visual triggers, and visual triggers are standalone, meaning once a visual trigger develops, a person is triggered without hearing the sound. So you can block all sound, and the person may still be triggered by seeing jaw movement or a person putting food in their mouth. I worked with a family who had a child that was triggered by the sight of her parent chewing. They wanted to have dinner together, so they all sat on the same side of the table, because that prevented the visual triggers and allowed them to eat together. It may seem a bit odd, but it is much better than the child eating in the room by herself. In summary, misophonia management with sound is the quickest intervention. It can give you an immediate reduction in the trigger reflex. You may completely block the trigger if you turn the sound up and wear earbuds or some other headphones. This allows you to greatly reduce or eliminate triggering in certain situations. You should add noise to any setting where you will be triggered because the added noise reduces the overall severity of the trigger response. While using noise to reduce the severity of the trigger makes life more bearable, it’s not a cure. It doesn’t cause the reflex to die out. It’s a way of dealing with misophonia as a chronic condition; and remember, it has no effect on visual triggers, so you still have to deal with those.